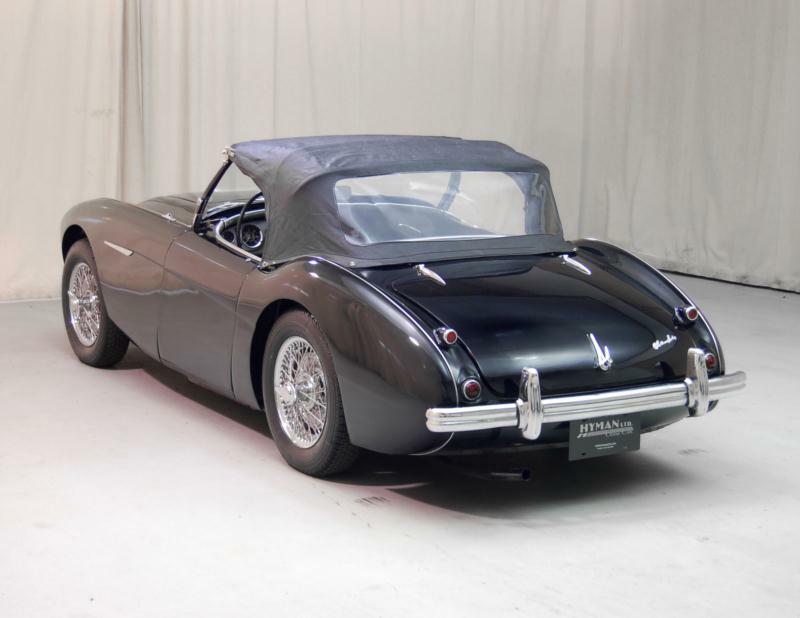 After creating the Nash-Healey in conjunction with George Mason in 1951, Donald Healey saw that there was a market for a fast, cheap sports car that handled well, but was more refined than a MG and less expensive than a Jaguar. He and a small development team began a list of cars that were affordable and could also do 100 mph. It was a short list. 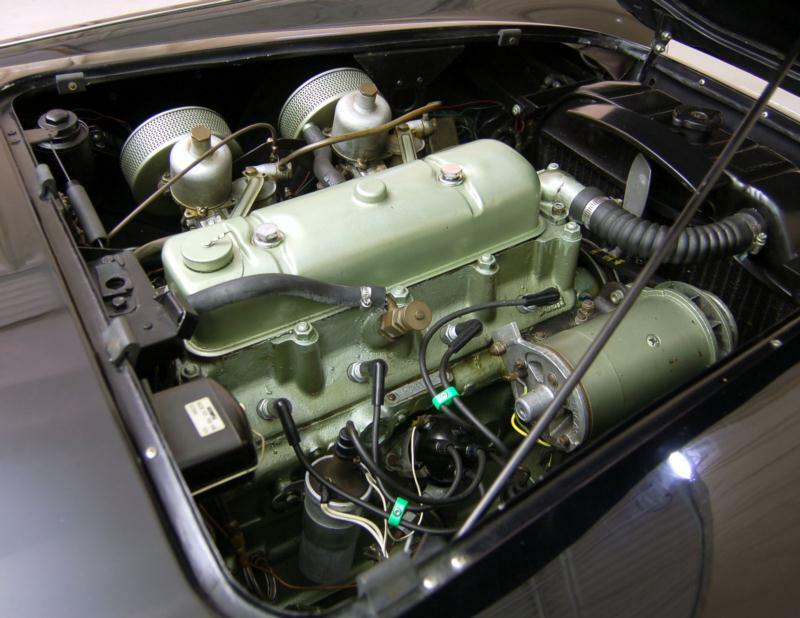 Healey, used to taking existing components and using them in his cars, sought and gained permission from the Austin Motor Company to use the engine and transmission from their A90 sedan, as well as their suspension and drivetrain assemblies, for use in his new car. The bits and pieces were coming together, but Healey needed a looker, too. 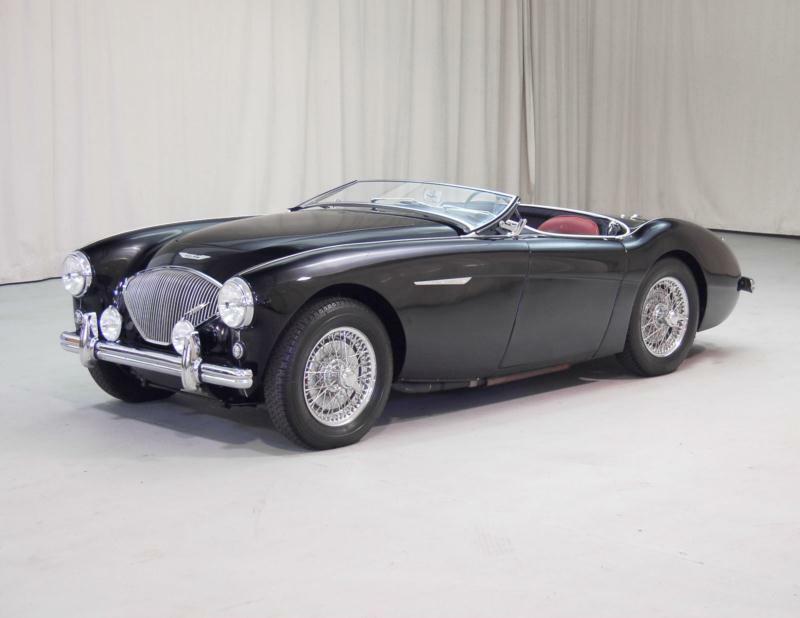 Healey took his list of parts to body designer Gerry Coker, who had penned the Nash-Healey, told him to design the car around the parts, and to aim for a car that would sell in America. 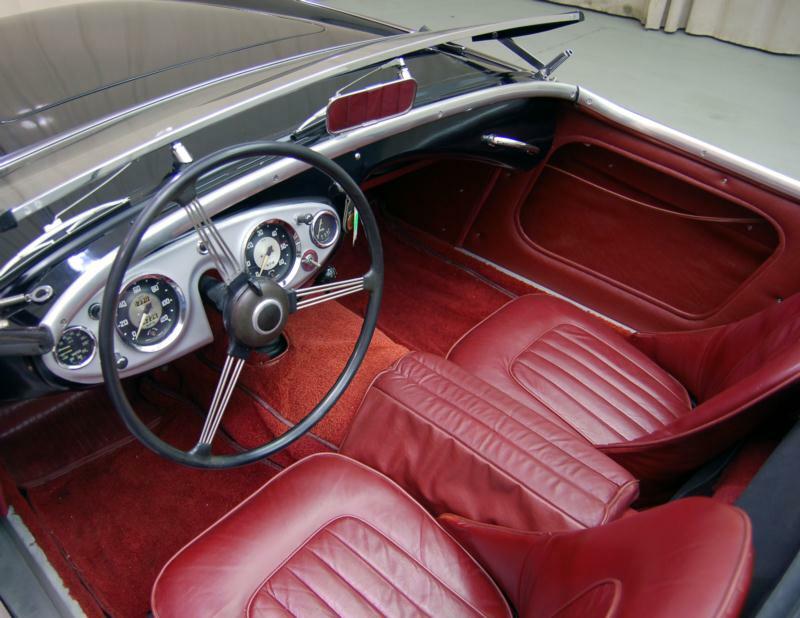 Coker was a fan of Italian design, and without much supervision from Healey, created an elegant two-seater with tailfins. A prototype was built, and the rear end had a different treatment on each rear fender. One side carried a tailfin, and the other was a proper, restrained British curve. "Let's do the pure side, without the fins," Healey said upon seeing the mock-up. Before leaving Coker alone again, Healey also suggested that Coker do something to liven up the slab sides of the car. Coker drew a character line from the front fender to the rear wheel well, just a useless swoop meant to make the car look lower and longer. To provide a reason for its beginning, Coker thought of positioning an air vent on the front fender. For a bit of flair around the vent, Coker looked no farther than the shape of the clip of his Parker fountain pen. Cut a bit short and positioned horizontally, this chrome spear commences a character line that identifies the 100 and 3000. It is also the cutoff line for the two-tone paint treatment, something Donald Healey never liked. The Healey 100 debuted at the Earl's Court Motor Show in October of 1952 with a price of £850. On the day before the show opened, the head of the Austin Motor Company told Healey that he wanted the car to be built by Austin. He argued that Healey could only manage 20 or so cars a week, whereas Austin could produce 200. 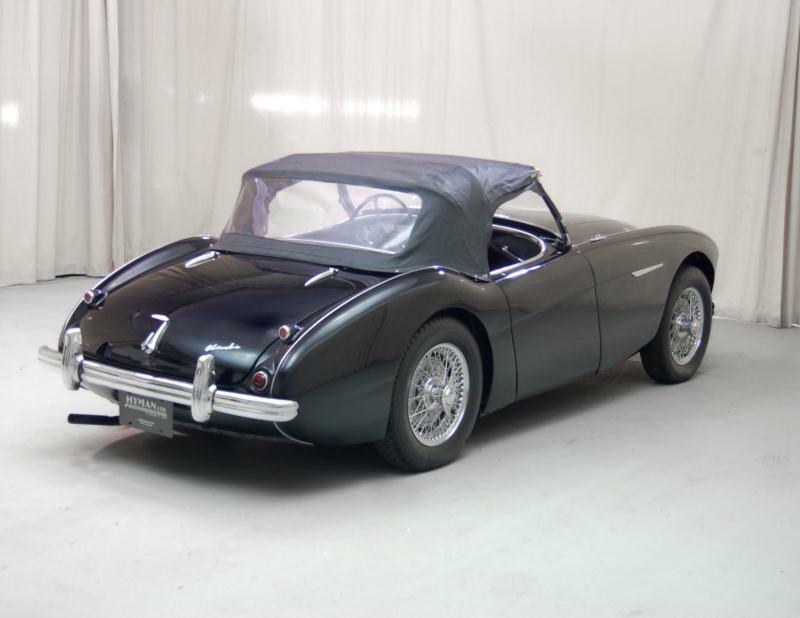 Healey agreed, his car was quickly rebadged "Austin-Healey," and his asking price dropped to £750. When automobile magazines got the chance to drive the new Austin-Healey, praise was generous, tempered with comments on what we now call "character." Road & Track editors "were unanimous in rating the 100 as the best all-round handling car encountered this year," but cautioned that there were two distinct sounds coming from the exhaust. One sound was a pleasant rasp that at some rpms sounds as though the exhaust were welded to the chassis. The other sound was the scraping of the exhaust on driveways, or even on high spots in the road. The latter comment had to do with the positioning of the exhaust pipe, a problem not remedied until the ultimate model. The chassis was so low, and the body and suspension so close, that there was nowhere for the exhaust to run except under the chassis. Many an aftermarket exhaust was sold to owners who hit a rock or bottomed out the suspension. These first generation cars wore Austin-Healey 100 badges, but internal to the company they were designated model "BN1." Healey enthusiasts converse like Navajo code-talkers with these internal codes. "B" indicates an Austin engine between 2000 and 3000cc. "N" designates a two-seater. Later cars would have four seats, and be labeled with a "BT." 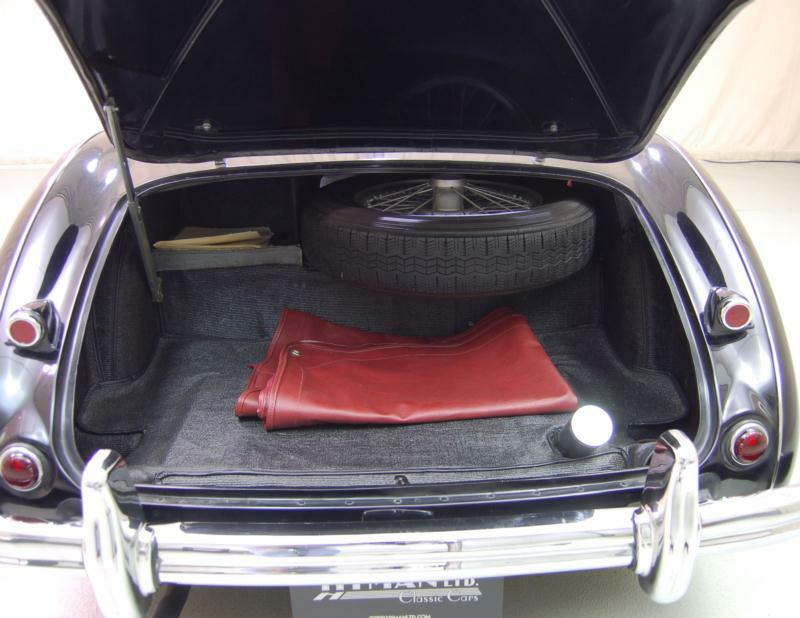 When a true convertible top was fitted, rather than the roadster's detachable top, the model designation became "BJ." Furthermore, each model attached a numerical suffix, commencing with "1" and ending in 1967 with "8" for the eighth version of the car. The engine in the BN1 produced 90hp, and indeed propelled the car past 100mph. But Healey knew that the engine could be tuned more effectively, and modified a version of the engine to produce 130hp for a car that would race at Sebring, the 100S. Seven Austin-Healey 100S cars were entered in Sebring in 1955, with five of them to finish the 12 hour race. Sterling Moss drove to sixth place in one, trailing a D-type Jaguar, two Ferraris, and two Maseratis. Not bad for four cylinders. To provide the public with access to the performance on display in the race cars, Austin-Healey began to offer 100M cars and modification packages, with larger carbs, higher compression pistons, and hotter cams. The factory kept scant records, not all 100M packages were the same, and to keep up with demand Healey converted some existing 100s to 100M trim. In 1955, production of the second series of cars began. Designated "BN2" these cars had a true 4-speed transmission, as opposed to the BN1's blocked-out first gear, and offered smaller front brakes and stiffer springs to improve the car's balance. 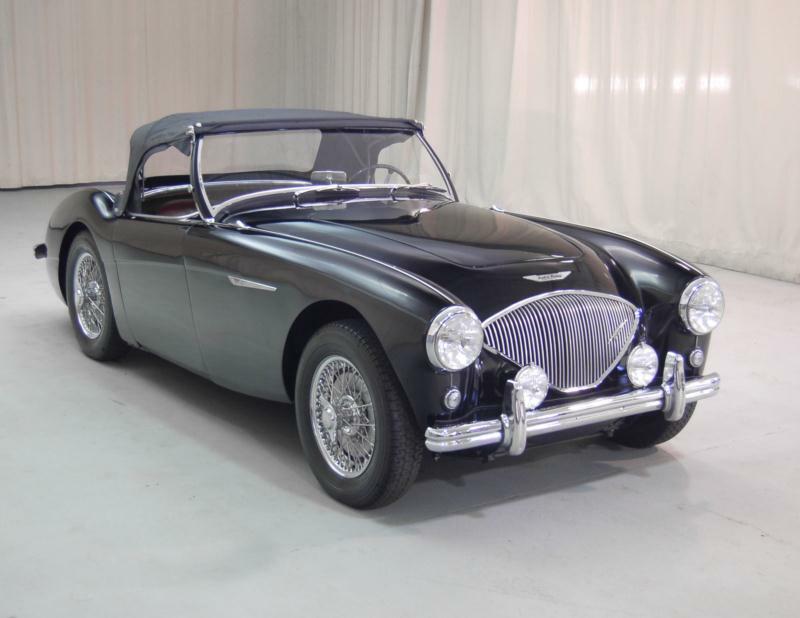 By the time the next model was to be released, the Austin-Healey was fitted with a six-cylinder engine, which provided no improvement to performance over the four. The model designation for the six-cylinder car was BN4 (BN3 was a prototype), and the car was badged 100-6. Cosmetic differences from the 4-cylinder cars included an oval grille, additional tail lamps at the rear fender, and a lengthened body to accommodate the larger engine. Over the span of production of the 100 models, 95% of the cars were left-hand drive, and 59% were bound for the United States. The 100 series cars eventually evolved into the 3000. Whereas the name 100 had stood for an achievement of speed, the 3000 cars were so named because of engine displacement. Four seats and a convertible top were to follow.